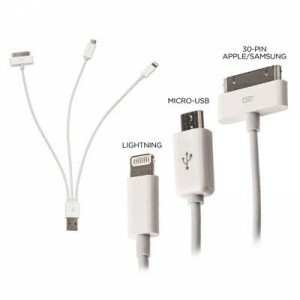 Tanga.com has the 4 in 1 USB Cable for Smartphone (lightning cable, 30-pin, micro USB) Sale for $3.99 with $2.99 Shipping. This USB cable allows you to charge and sync up to 3 devices at the same time. 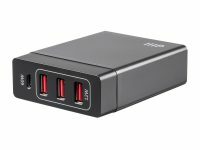 USB to Lightning (8-pin), Apple/Samsung 30 Pin, and Micro USB connectors. 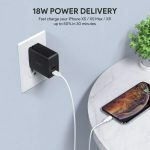 Compatible with any USB wall charging adapter.